Inspiration is a concept that’s hard to explain. It’s a sensation that provides an invisible jolt. There’s a warm tingle that spreads across the entire body, like having new fire delivered to the eternal flame burning within. Anyone who listened to Nipsey Hussle’s music or watched his interviews knows this feeling. His words encouraged. His words empowered. His words touched. Nipsey Hussle spoke a language embedded with inspiration. Giving was his gift, and he gave to many. 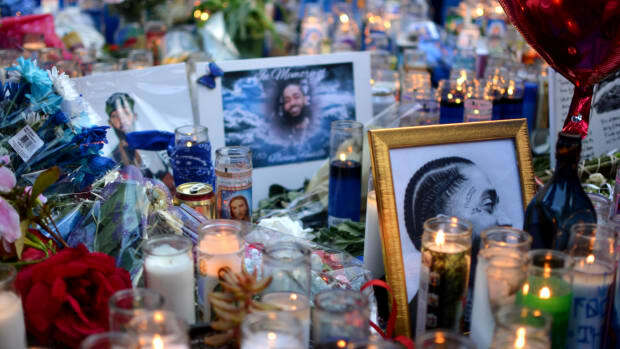 It’s surreal to write about Nipsey in the past tense. Using “was” instead of “is,” adding “ed” to the end of words, it all feels unsettling. Sadly, he is no longer a person of the present. It’s not something I fathomed could happen to him at the young age of 33; death seems the furthest away from those who live by the beat of their ambition. The famous Los Angeles entrepreneur and GRAMMY-nominated artist appeared as a public figure in motion, always moving, placing actions behind his inspiring words. 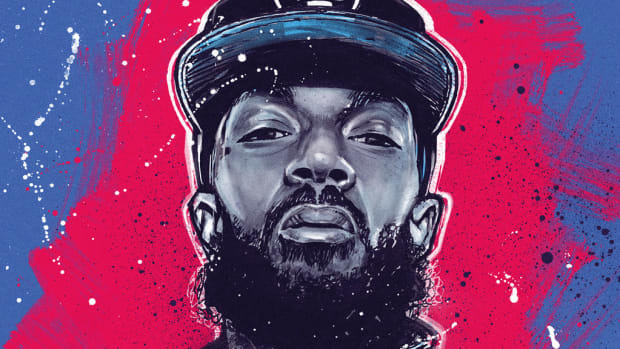 Nipsey was, in the eyes of many, a poster child for manifesting what you envision; a shining example that black men who arrive from the mud have the capacity to build castles and communities with focus, knowledge, inventiveness, and the drive to beat all odds. Nipsey Hussle lived up to his last name. I didn’t have the honor of knowing Nipsey on a personal level. I don’t know his music as well as others, and I haven’t watched or read all his interviews. But he was an artist who made his name during the blog era, posted on all the same sites as Drake, Kendrick Lamar, Mac Miller, and all the rest of his peers. He was there, a presence that couldn’t be overlooked. What always stuck with me about Nipsey was his demeanor. He was tall, but there was something about his body language that made him seem larger than any marker found on a measuring stick. He possessed magnetizing confidence, the type of sureness that repels doubt and inspires belief. He was young, but as he grew older his facial features weren’t wrinkled with age but chiseled by experiences. Time seemed to only make Nipsey better; it wasn’t cancer eating him away, but an elixir improving on his mind, body, and spirit. 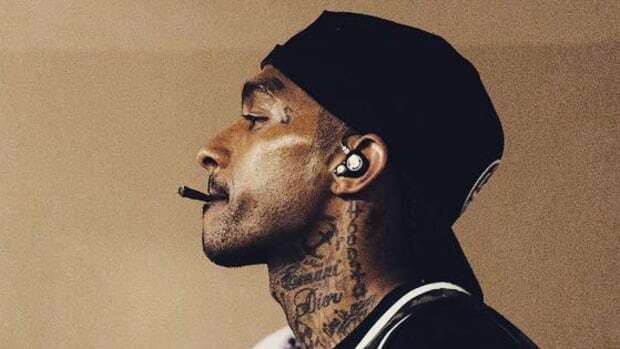 Similar to a young Allen Iverson, Nipsey Hussle was a disruptor of ideas. Selling a mixtape for $100 during the height of Datpiff, when most projects not released by a major label were given away for free download, seemed preposterous. But in 2013, unsigned and certain of his worth, Nipsey did it. The attention he garnered after leaving Epic Records in 2010 didn’t lead him to an instant record deal, and so he waited, maneuvering the industry with a business mind until the moment and offer were right. 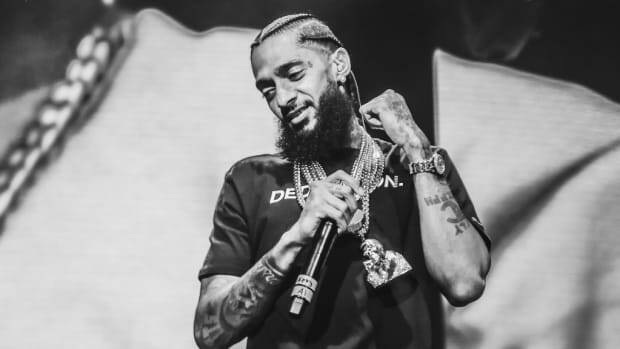 Nipsey was 13 years into his recording career when he released his first studio debut album, Victory Lap, through his label All Money In No Money Out in partnership with Atlantic Records. 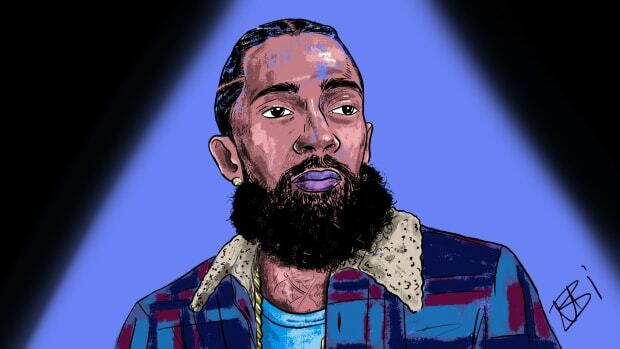 Nipsey wasn’t anxious for fame, or money, or recognition; he moved at his pace, time was always on his side. 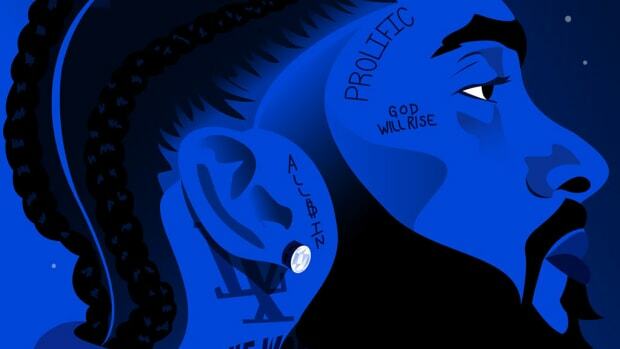 To label Nipsey as a gangsta rapper would be accurate in the subject matter of his music, but nothing about Nipsey portrayed the stereotypes often associated with that brand of rap. He never became a caricature, but more so an authentic communicator of what life was like coming from where he’s from. Then, to go one step further, he built up the blocks he walked, adding value to the community that raised him. Nipsey never forgot the people. He didn’t see fame and fortune as a one-way ticket to a better place, but the foundation to give back and improve the conditions for more people than just himself. Giving was Nipsey&apos;s gift. Even a thoughtful businessman such as Nipsey Hussle can fall short of being progressive. His words, though they inspired many, had the capacity to hurt. 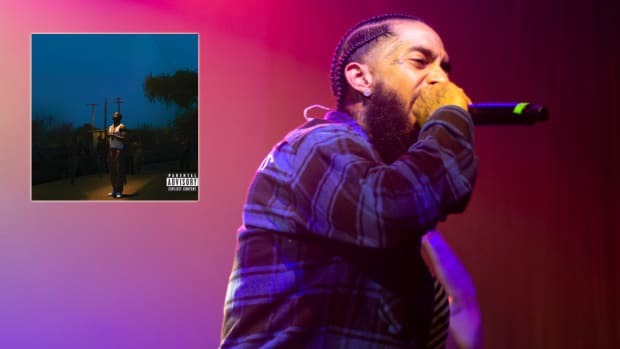 In January 2018, Nipsey received backlash for expressing homophobic rhetoric on Instagram of gay black men. The stance he took and continued to take was one of the rare blemishes on his character. Coming from a leader who had the ability to encourage and inspire, his closeminded “agenda” perspective seemed so unlike him. It was hurtful, yet, I always had this hope that with time, conversations, and further understanding, he would realize the error of his thinking and move forward with more compassion for the men and women of the LGBTQ+ community. Unfortunately, his time was taken. 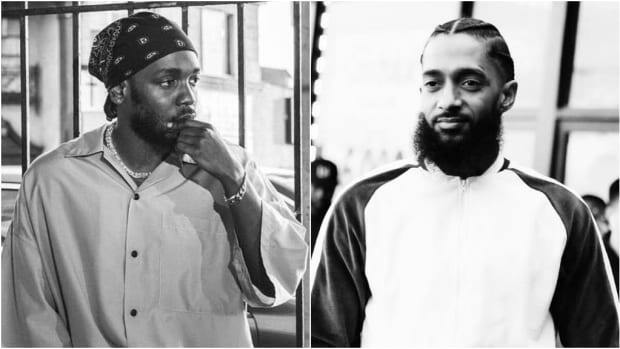 That’s what makes the murder of Nipsey Hussle so striking. He did so much with his time here and still had so much more to do. Yes, he had more to learn and errors to correct, but he also had more to give. This is a man who wasn’t allowed to maximize on all the potential he spent a lifetime accumulating; a man we knew wasn’t in his final form. For Nipsey, self-improvement was a step in the process to improve all those around him. He had to be better, there was no other option. First, be the change, then change as many lives as you can. That’s what Nipsey Hussle showed us all. At the least, provide knowledge that may inspire change in others. Give, and give, and give because the marathon will continue when you’re gone, but the people will never forget all you offered while you were here. 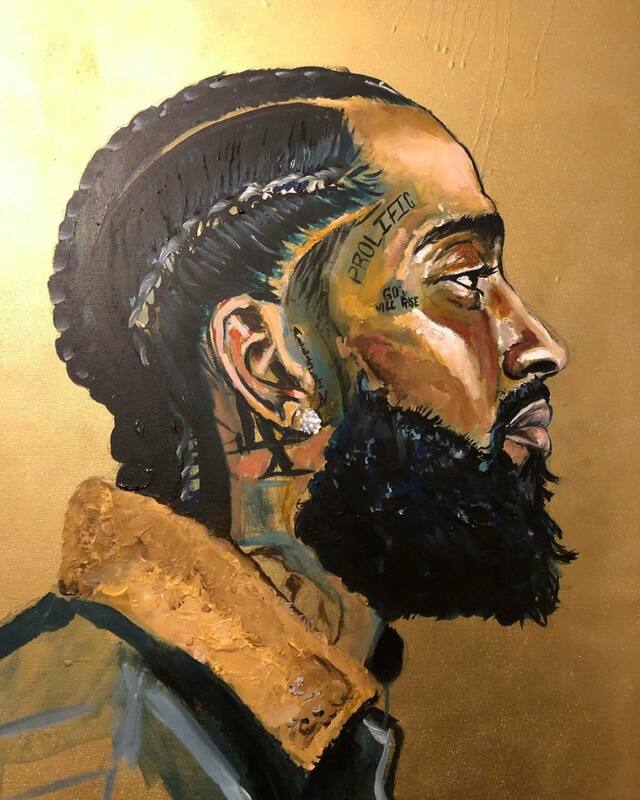 Nipsey Hussle gave hip-hop plenty, so take all the inspiration he has left us, and build your castle from the mud. That is how we will honor his name and continue his legacy—a community of castles inspired by the Hussle.